Hi! I still (clearly) haven't gotten back into a rhythm here. But also, where did June go and can it come back for maybe 4 more weeks? We've been trying to savor this time of year as much as possible... it's nice just going on walks while it's still light out at 9pm (which is also full of bunny sightings in our neighborhood as the sunlight starts to fade). 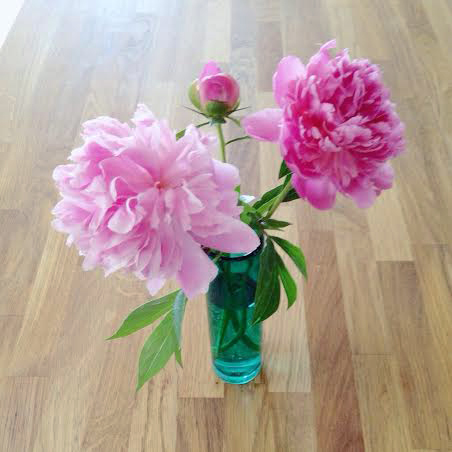 And our peonies are long gone by now, but we enjoyed them both indoors and out while they lasted. So long, June...it always feels short but sweet.